Hello and welcome to my version of the game, ‘F*@#’, Marry, Kill. This week we are WWW’ing the actors in Christmas movie roles. GIVEAWAY: One commenter (a name will be drawn from those who share their WWW opinions out of these choices) will win a $20 Amazon Gift card!!! Merry Christmas! (Please be SURE to leave your email address in the comment section in order to be eligible to win) – Winner will be drawn on Christmas Eve. Me (Alicia Dean). Author of Death Notice – The Northland Crime Chronicles, Book 1 – A killer has something to say—and he’s using her obituary column to get his point across. WANT: Will Ferrell. I don’t necessarily find him attractive, but he makes me laugh, a lot. It might get a little annoying being married to him because of his antics, so I’ll stick with wanting him. I know many people, especially normal people, don’t care for his humor, but almost everything he says or does cracks me up. Plus, he’s a really great guy. WASTE: Tim Allen. I’ve never seen The Santa Clause, so I can only base this on Tim Allen. I don’t hate him, but I like Will and Jimmy much better. Plus, that whole cave man grunting routine has really, really gotten old. And it wasn’t funny in the first place. Ya gotta go, Tim. Linda Carroll-Bradd, author of Wishes On A Star in Sweetwater Springs Christmas, a western historical anthology. Want: In this movie, Tim Allen showed a vulnerable side and what’s not to like about a man who will do anything not to disappoint his kid. Wed: Jimmy Stewart is the epitome of a reliable family man who may have his struggles but learns what’s important in life. Waste: Will Ferrell’s humor is not to my taste and I barely finished watching him in Elf. Want: Tim Allen … not so much because of any real “appeal” but … let’s face it … the man knows his way around ‘tools’ and batteries! So, if he turns out to be a dud … you can just raid his tool box for what you need to finish the job yourself. Wed: Jimmy Stewart. Despite his short “mental” holiday in this classic movie, his character was a family man at heart. His love for his wife and daughter, and his gentle character would definitely make him a keeper. Not to mention, in real life, he was married for like forever! Waste: Will Ferrell … I’m sorry, I don’t get this man’s appeal as a comedic actor. When I watch him, especially in something slapstick like Elf, I actually get the creeps and feel embarrassed for a grown man acting so unbelievably stupid. 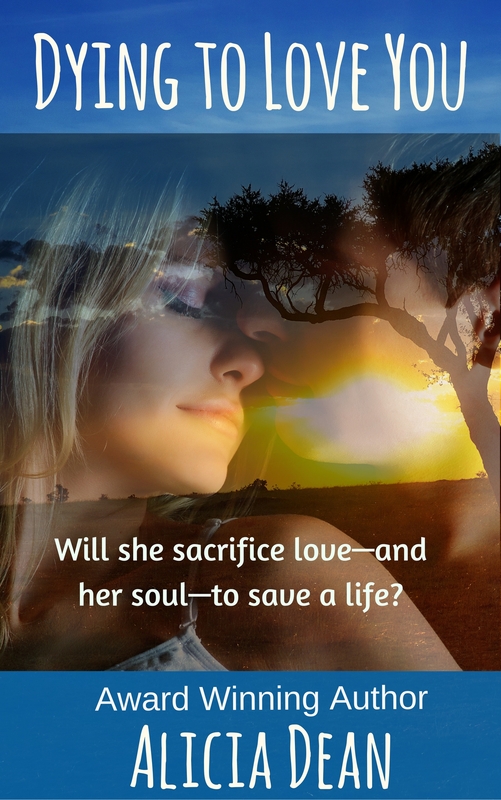 Darcy Flynn, author of Sealed With a Kiss – Can one kiss seal a young girl’s heart forever? Wed: Jimmy Stewart is my man to Wed. His tall, lanky, adorable self is so appealing to me. He’s charming, sensitive, a faithful husband and a family man. He’s an unsung hero. I love how he fights the evil money-grabbing villain. Waste: Will Ferrell, as cute as he is in ELF, is frankly not my type. Way too childlike in ELF and he’s just too crazy for my tastes and needs to go. So long Will. Want: Tim Allen makes me smile and he’d be great for a fast fling. Even though he’s redeemed later in the film, I’m just not into rosy-cheeked fat men. JI would sure hate to see him die and as for marriage? No thank you! I’ll stick with my Jimmy. Waste: I’m sorry, Tim Allen. I do like you, but I’m not fond of this movie. It’s like you were trying too hard. Thanks for letting me play, Alicia! Happy Holidays to all! Want: Tim Allen. He’s cute and from Michigan. (Love his “Pure Michigan” ads.) But he’s not exactly husband material. Wed: Jimmy Stewart. He’s the All-American guy. Sweet, heroic, good spouse and father. Waste: Will Farrell. He’s just plain dorky. ‘Nuff said. Want: Tim Allen as Santa Clause is just too adorable to resist in Santa Clause. His bizarre sense of humor would entertain one for several nights, even if they are all in succession. Wed: Who would not wed Jimmy Stewart. The man was a general for heaven’s sake. Dependable, sweet, comforting. The guy to go to in a pinch and revel in. Waste: I can get past Will as a cheerleader! Or Ron Bergeman. Now we’d like to hear from you….which of these Christmas Movie Men would you Want, Wed, and Waste? Love the answers, everyone! I’d want Tim Allen because while I like him, I wouldn’t want him underfoot 24/7. Jimmy Stewart? I’ve crushed on him forever! So yeah. Definitely wed him. And not-so-sorry Will but you’re easy to waste. I’ve never appreciated you. I know. I’m mean like that. 😉 Merry Christmas, everyone! Want: I would want will Ferrell. He is hilarious. He would keep me in stitches and its proven ppl that laugh more live longer. And every one needs a good laugh. Wed: I would wed Tim Allen. He is heartwarming in all the Santa clause movies. He reminds us of what innocence is and teaches us just to believe. Plus I think he is very handsome. Waste: I would waste Jimmy Stewart. I’ve never seen any of his movies. So I really can’t say much about him. Interesting combination, Alicia. Jimmy Stewart’s character was the consummate family man, when not trying to off himself, so definitely in the Wed category. I’m torn on the other two. 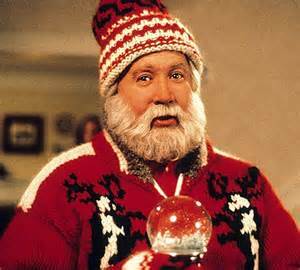 I loved Tim Allen in Home Improvement, but never saw the Santa Clause, and the female bashing gets old after awhile. (Home Improvement worked because Jill usually came out on top.) 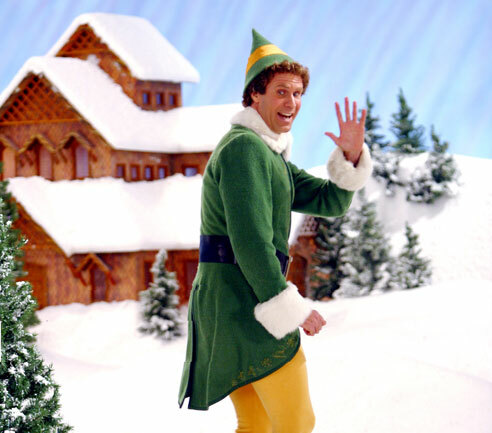 I thought Will Ferrell was adorable in Elf, but most of his other movie roles make me cringe, incl. Ron Burgundy. merry christmas and whatever else you choose to celebrate! Happy holidays to you all and best wishes for the new year! Did anybody actually see The Santa Claus? Tim Allen’s character causes the death of Santa in the beginning and then gets rewarded with the job. Why is no one, but me bothered by this? Why does anyone love this crappy movie? Jimmy Stewart? This namby-pamby nearly causes the bankruptcy of the local savings and loan because of his ineptitude and everyone thinks he’s still swell. What’s going to happen next time he causes a financial crisis because he doesn’t have the balls to fire Uncle Billy? You think the town folk will forgive him again or will they ride him out of town on a rail where he belongs? Will Ferrell is sweet and funny, but definitely not handsome. Having an in with Santa is a plus, though, so I’d waste the first two and want the third, but only to personally deliver my Christmas list. Wow! Listening to your all’s answers is making me question my own judgement. Of course Jimmy Stewart as the husband! Problem is, I don’t want Will Ferrell or Tim Allen, though I find them both hysterical! Maybe want Buzz Lightyear…but not Tim Allen! 🙂 I love these responses. Such a wide range of opinions. We all have our own tastes, I suppose. Fun stuff! Want: Will, I love love him ELF is my favorite EVER! I do not care that people say he is the same in all of his movies, I will take it!!! He is great!!! Want, want, want! An ugly funny guy is hotter than a hot not funny guy!!! Wed: Jimmy, he is precious I want to marry someone presh! Waste: Tim, he is always the same and it is not funny at all, bye. BTW……I NEVER EVER NEVER want to WED anyone EVER. So my answers are purely for game purposes, in the spirit of playing along I always put in a Wed but in reality I only have wants and wastes where ANY man is concerned. Yeah, I don’t want to wed any ‘mortals’ but I can think of a few fantasy guys I’d like to marry.